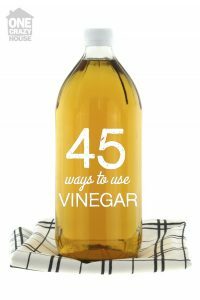 This is an interesting list of 45 different applications for vinegar from OneCrazyHouse. There’s a lot of variety. Click on the 45 Uses for Vinegar link below to read the entire post.